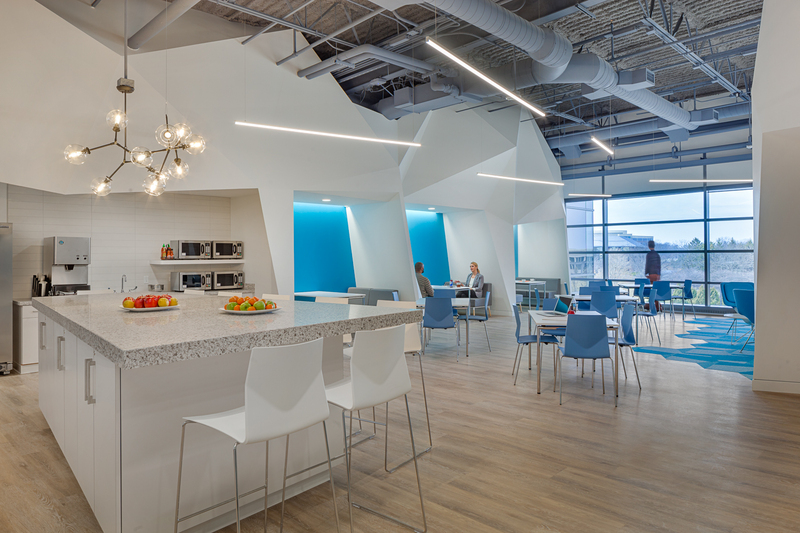 Wright Heerema Architects redesigned this Pharmaceutical Client’s existing café into a bright, engaging space. 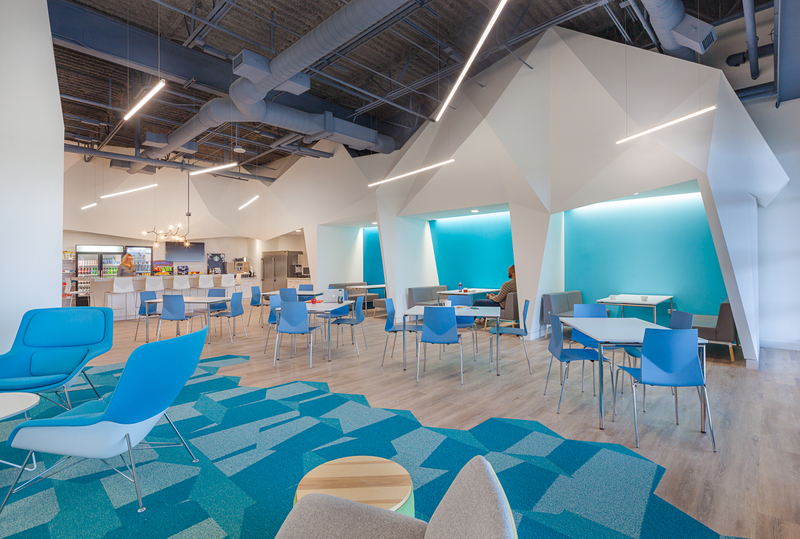 Located on the top floor of their Lake Forest, IL corporate office, it serves as a central hub where employees can work, eat and socialize. 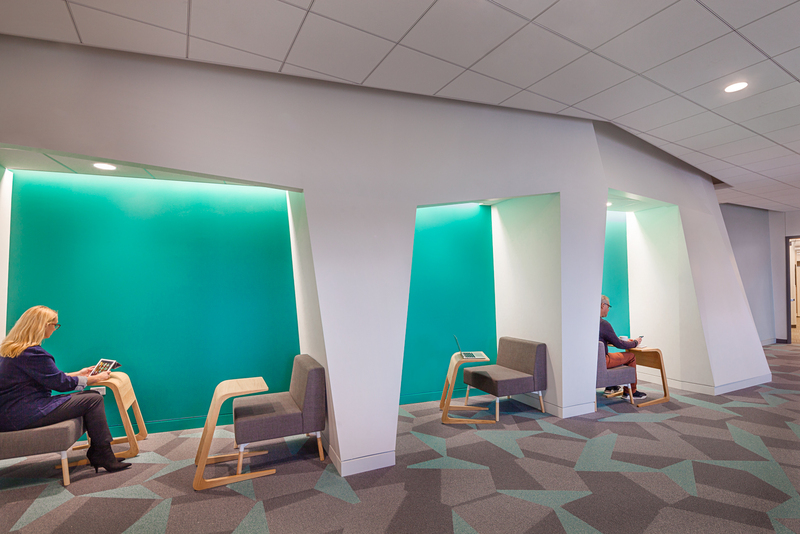 The unique geometry of the existing feature walls presented a challenge from design and construction standpoints, so WHA held an internal charrette to generate solutions that would manifest into renderings and final design plans. Given the complex structure of both walls, WHA worked closely with the contractor to ensure CDs resulted in accurate bids. This total team effort helped transform the original design charrette sketches into a completely redesigned café.